A well-maintained and quiet Mas in a prime location with sea views directly on the nature reserve Lardier Cap. A house with many regular guests. A house in a very quiet, the conservation area facing south and southwest. The spectacular sea view is not visible on the 8.5 square-meter terrace a delight. The apartment is newly renovated. Recommended, well maintained and spacious house with large terrace and beautiful landscape and sea views. The terrace faces west. A "house" with a tasteful French flair and bright, pleasant colors. A pleasant and spacious house in a very quiet top location with newly-scale foreign cuisine and a "Fontaine". The very charming sea views to the south and is directly attributable to the nature reserve. House in total outstanding location with views over the bay of Cavalaire with the Iles D'Hyéres nature reserve Lardier Cap. A charming house in a beautiful location overlooking the Bay of Cavalaire with the Iles D'Hyéres nature reserve Lardier Cap. 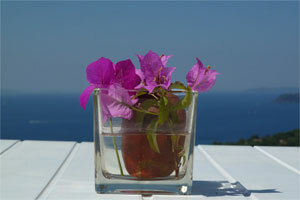 Bright, Mas representative furnished in very good quiet location with one of the most beautiful sea views. A very French House and suitable for children with plenty of space on the terraces and in the house. beautiful sea views. 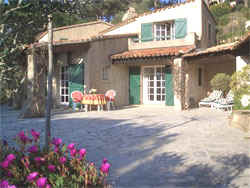 Very charming Provencal house, directly aimed at the conservation area with stunning sea views and south. House private architecture in a neighborhood of villas located in La Croix Valmer. Sea View sensational and the landscape. Very charming, well maintained villa on a generous 2000 sqm of land with private pool. Absolutely quiet in an impasse, the various terraces with sunny seating and berths to relax. *****Vacation without compromises, in a secluded villa again on a large plot with private solar heated pool and sea view. Luxurious and uniquely well equipped. An exceptional provencalische villa with sea views on the nature reserve Lardier Cap. Our cultivated peak object in a fantastic location with its own pool and a view of the Iles D'Hyéres directly at the nature reserve Lardier Cap.